Q: How did you come up with the idea of your book? A: When I first saw the movie "Shutter Island" which was based on the book of the same name by Dennis Lehaye I was intrigued and it kept me thinking for days. Unlike a regular thriller, which could be a spy movie, or something like a techno thriller, a psychological thriller plays on the mind of the reader. It leaves a message long after the book is read or the movie watched, which was one of the reasons I felt led to write Dead Dreams. I wanted to develop a novel that could have longevity--in that the reasons behind the motivations of its characters are complex enough so I could continue the mystery as the series unravels. Sort of like the Breaking Bad series--you never really understand the character until later in the season. Q: Are any of your characters based on people you know in real life? A: I see a lot of myself in Brie O’Mara, the main protagonist, and even in Sarah McIntyre, the anti-hero, even though both young ladies are very different people. Now that I am a lot older than eighteen, (yes, it's ages since I was anywhere close to being called a teenager--thank goodness!) I can look at some of the decisions Brie made and scoff at it, I'd never done some of the things she did, right? But hindsight is always 20/20. The mind of someone who's eighteen or younger, especially if the person has led a sheltered life, is going to be different from someone who's a little more savvy. In some ways, I believe, the author always deposits a portion of herself into the characters—particularly the main ones. Think about it: as the plot falls into place, and as the writer faces the questions the characters are confronted with—what would she do faced with this or that—wouldn’t it be reasonable that the author would reflect her biases into how anything is played out? Q: Is there anything you want readers to take away from your book? A: We've all been there--at least those of us who are over 21--revving to grow up, the world at our feet, the stars reachable. Wonderful ,wondrous future. But in wanting to get there, we forget to smell the roses, we trample on thorns and we get sorely poked and pricked, and alas, some of the barbs could be poisonous. Except for the Grace that watches over me, over you, (call it LUCK if you wish), all it might have taken for any of us to take that wrong path was that wrong turn, that grabbing of something that looked too good to pass up on. This, coupled with a strong desire to make it in life, might blind any of us, and we can end up grabbing at the adder's tail. That is the story of Dead Dreams; of Brie O'Mara, a good girl; someone who'd never even gotten a traffic ticket, a Miss Goodie Two-shoes. But, let's face it we can all be tempted, just a tiny bit. And sometimes that's all it takes to have things spiral out of control. 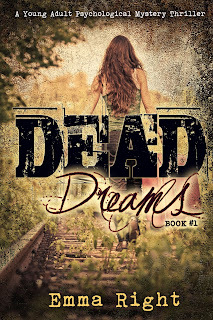 Q: Will there be another Dead Dreams book and what can readers expect in it? A: Absolutely. Dead Dreams 2 is brewing at the back of my head like coffee percolating slowly. Currently, I am finishing up my other YA/Teen fantasy series Keeper of Reign, Book2. But once I get that to the editors I will be working on Dead Dreams 2. 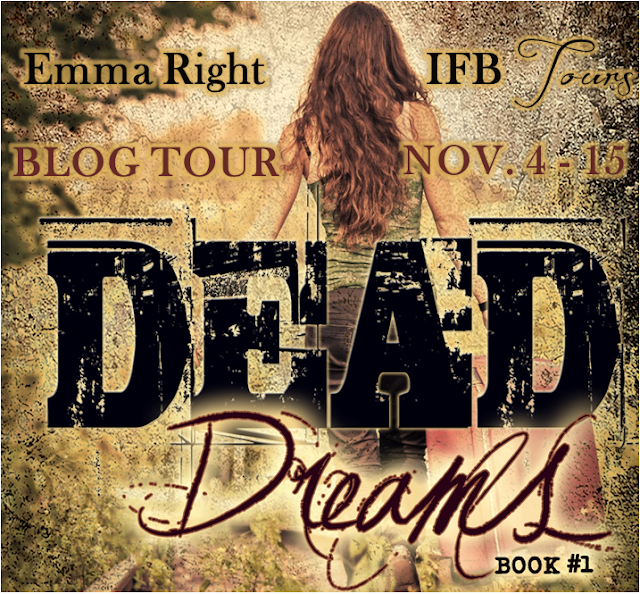 With Dead Dreams I hope my readers will see that as the story progresses major plot threads will unwind and it'll become clear how the characters are entangled with another. The human psyche is complex, interesting and is never black and white, isn't it? A: Write a million words, then, read, read, read, and write a great story that's been trying to bust out of you. Read as many books as you can on crafting great fiction that deals with all the elements of a great book. Writer's Digest has plenty and I practically spent thousands of dollars trying to educate myself and soak in as much as I could when I had to re-revise Keeper of Reign--about 17 times. And never give up on your dream no matter how many problems life throws at you! If a person is called to write she will know this in her bones, even if it's something she has been pushing aside due to life's commitments. Don't give up. You'll eventually get published if you keep trying. A: My, there are too many authors to name. 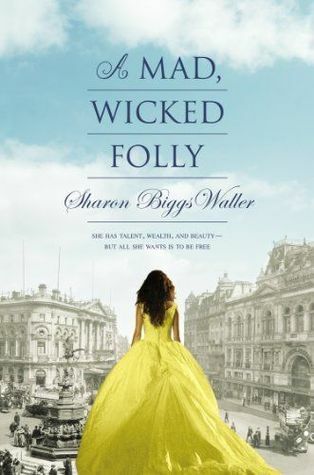 From British classic authors like Dickens and Thackeray to authors like Agatha Christie, Harper Lee, Margaret Maud Montgomery and Laura Ingalls, and these days the newer authors like Suzanne Collins, Ranson Riggs, and Veronica Roth….I am an eclectic reader, meaning that I enjoy almost all genres. I even enjoy reading cook books! The only genre I don't read is erotica and some really dark noir. It's a personal preference. Thanks Emma for answering all my question! I definitely agree with your favourite author choices and I am definitely excited to see what’s in store in book two. Please check out this awesome book! I'd love to read your opinion. Comment away! THREE by Kristen Simmons + Swag!